"Fascinating, often beautiful... four stars!" "A wonderful, descriptive documentary, often perceptive and subtle, of the continuing conservation saga to create and sustain portions of the African landscape for both those who live there as well as those who just pass through." 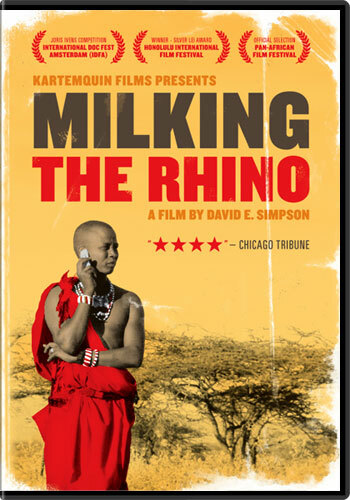 "Raising troubling questions about the daily realities of living in this difficult environment, this powerful documentary offers a distinctive perspective that is miles removed from the popular 'wild Africa' documentaries which celebrate animals while virtually ignoring the people... Highly recommended." "In many typical documentaries about Africa, one sees pictures of plentiful, undisrupted, and magnificent wildlife; however, as this film is unique in discussing, if the camera person would just turn around, he or she would see a world where people are not only privileged to have wildlife live around them, but forced to pay a price for living with it... worth the watch for those new to the conservation techniques in Africa, proving conservation is possible everywhere in the world." "Fresh and ultimately fascinating... A worthy film and a rare peek into a world most of us will never know." "Director David E. Simpson takes care to consider multiple sides of the story, balancing respect for cultural traditions with an appreciation of commercial progress and a compulsion to tell the story and to comment on the history of African nature documentaries at large." "Does an excellent job at detailing the urgency of what may feel like a distant problem. It makes a foreign issue approachable... a must-see." A common theme in Kartemquin docs is that making a living is a political matter. Simpson skillfully adapts that perspective to rural Africa. One of the year's best and most thought-provoking documentaries. This doc offers hope based not in platitudes but in practical solutions.